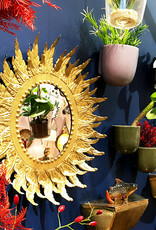 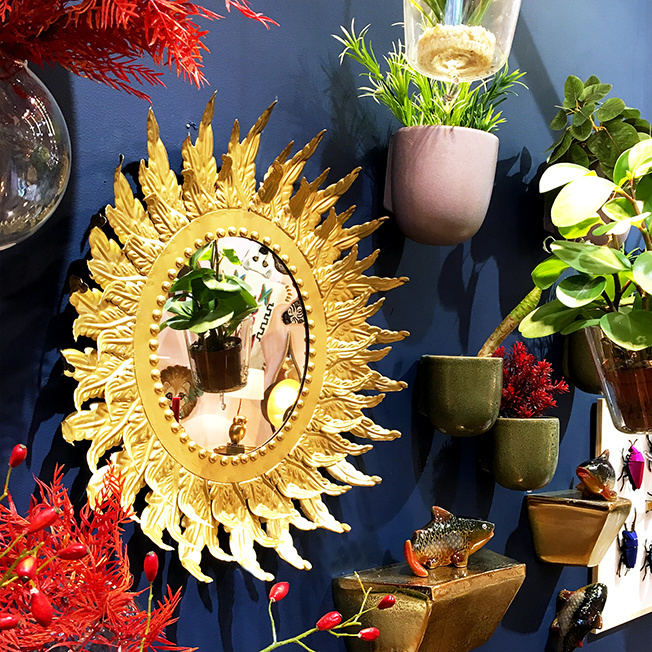 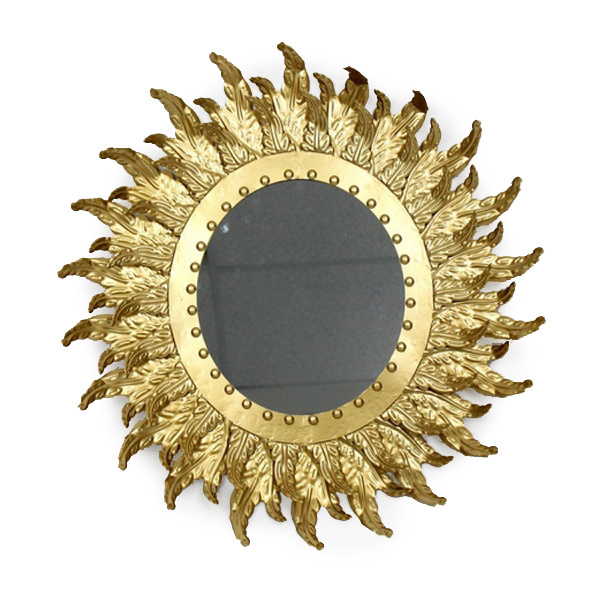 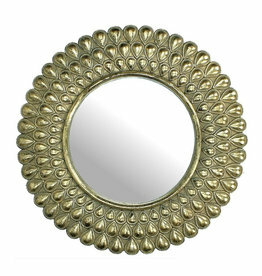 Retro design mirror with sunflower decoration. 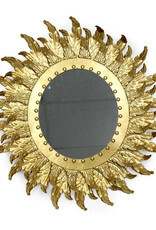 This mirror is made of metal with gold look finish. 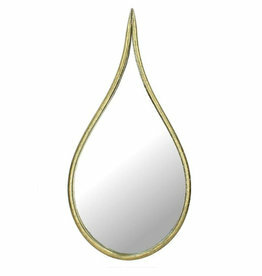 H x W: 55 x 52 cm.